Use the comfortable search, the sorting by manufacturers or simply browse through the categories. At "informations", You will find some useful hints about this homepage and the products, we sell. You will also find an overview about all Categories. Of course, You are able to order as guest, there is no need to go through a lenghily login-procedure. If You like to order more frequently, You can also create an account and enjoy the advantages of e.g. orderhistory, order status, different addresses and so on. Enjoy this webpages, Your chip-service.de team! 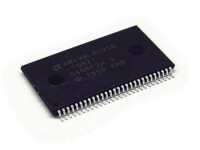 UV eraseable Eprom 128Kx8 in DIL32 style, access time 120nS. Compatible to 27C010. 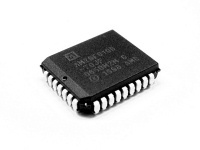 Flash Eprom 1024Kx8/512Kx16 in SSOP56 style, access time 65nS, extented temperature range. 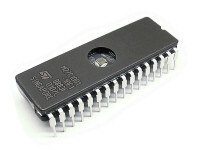 Flash Eprom 128Kx8 in PLCC32 style, access time 70nS, extented temperature range. 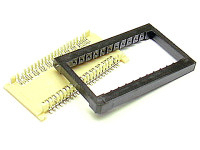 IC Socket SMD PSOP44, with Frame. For mounting in spite of the chip. Identical foot-print, 22,0 mm x 36,0 mm x 4,3 mm.